Light and crumbly, these cookies taste great every time you make them! 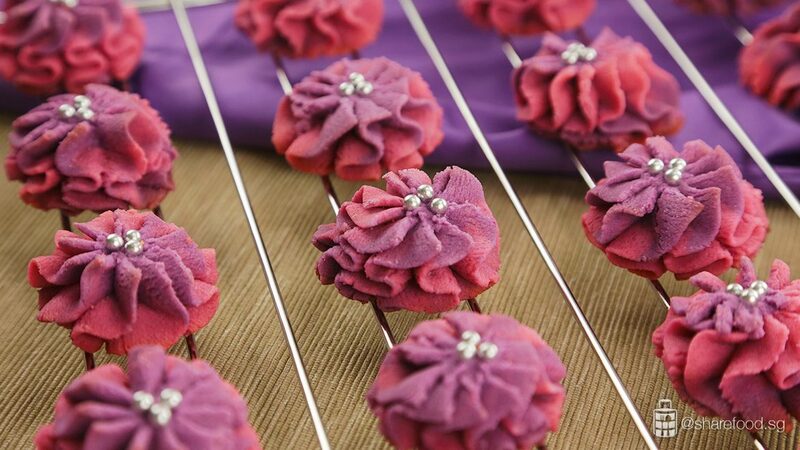 This Kuih Dahlia recipe is shared by home cook Leah, a working mum who loves to bake for her daughter and family. 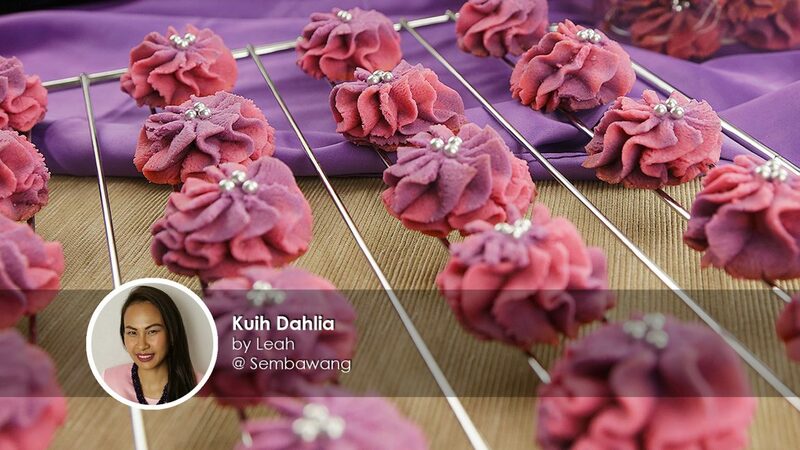 In collaboration with Ribena Singapore, we present to you her lovely Kuih Dahlia recipe. Busy working parents would love this recipe as it is effortless to make and looks incredible! 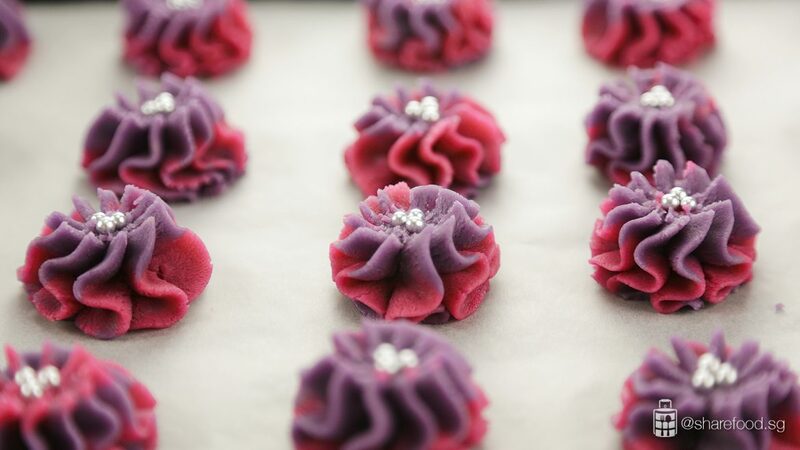 Kuih Dahlia cookies also known as biskut semperit are butter cookies that are made in the shape of a dahlia flower and is served during festive occasions such as Hari Raya. This year she personalised it with her favourite colours and enhanced the flavour with Ribena blackcurrant cordial. Home cook Leah shares that this is a must-have dish for her family when they break fast as they can prepare it ahead of time and her daughter loves it. 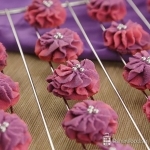 To make these lovely dahlia cookies, the essential tool you'll need is the shape maker. For bite-sized cookies, fill the shape maker 3/4 full and press out the shape. 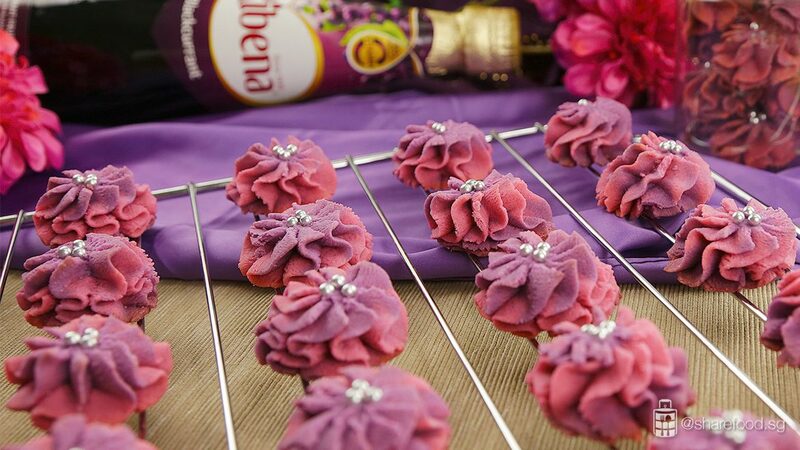 In this recipe, Ribena blackcurrant cordial is added to give it a delicate flavour. It's also used to replace some of the sugar, making it much healthier for everyone to eat. Your family and friends will love how it looks and taste! Have a recipe that you would love to share with us? 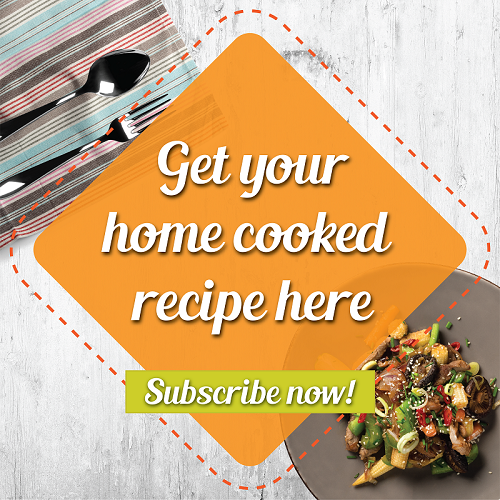 Send it to us at https://www.sharefood.sg/submit-your-recipe/! 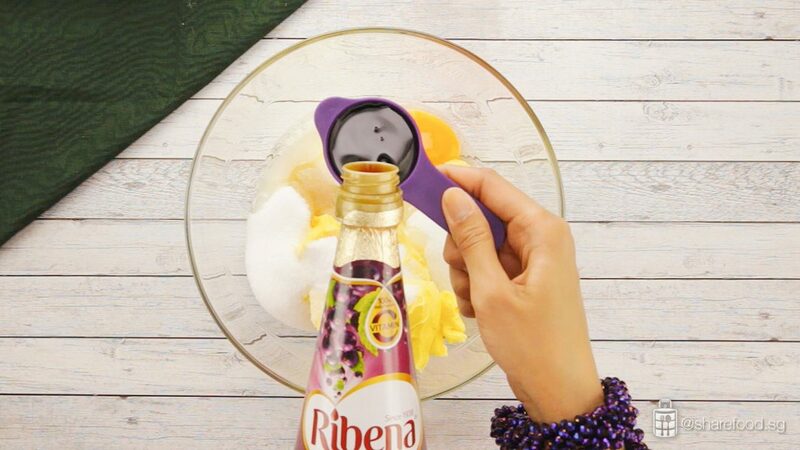 In a mixing bowl, add planta, egg, castor sugar, vanilla essence and Ribena blackcurrant cordial. Use a wooden spoon and mix for 10 - 15 minutes till it is well combined. Add flour and use hands to knead for 10 - 15 minutes. The cookie dough is ready when the dough forms and is able to hold together. Halve the dough and transfer one of them into another mixing bowl. 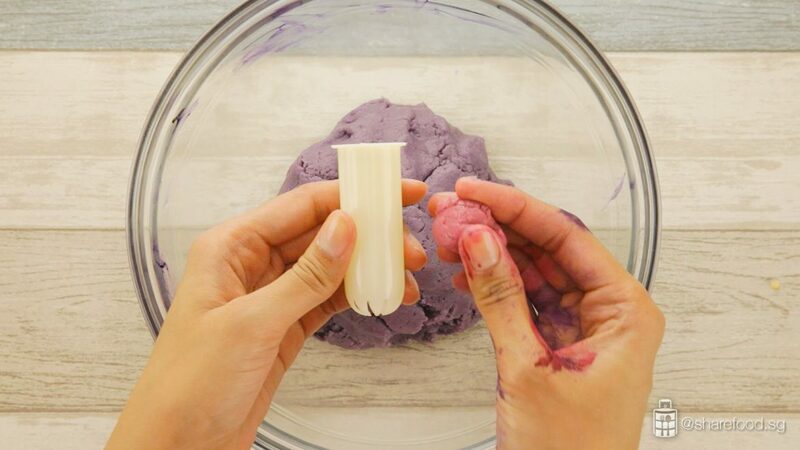 Add purple colouring into 1 of the dough and pink colouring into the other. Knead till colours are mixed evenly. Preheat the oven to 160 degree Celsius. Transfer the cookie dough to the dahlia shape maker. Line the baking tray with baking paper. Press the dough out from the shape maker and decorate it with silver balls. Transfer to the oven and bake for 20 minutes. Remove the cookies from the oven and set it aside to cool. Best to store it in an airtight container to keep it light and crumbly!